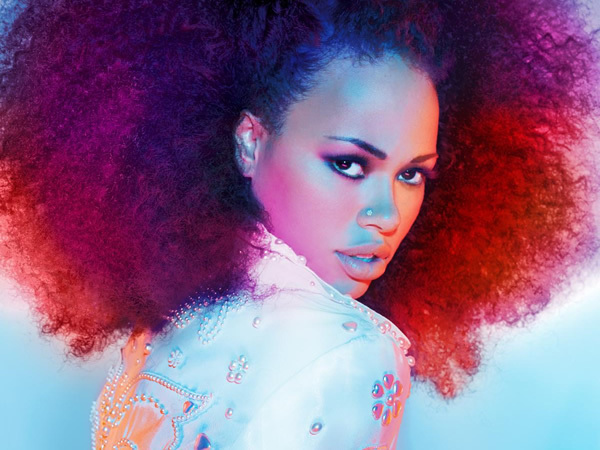 See the gallery for quotes by Elle Varner. You can to use those 7 images of quotes as a desktop wallpapers. As a young girl, I remember singing CeCe Penniston's 'Don't Walk Away.' It was like my jam. As soon as I could speak, I was singing. Before I could even speak full words, I would make up ones to sing and I have it on tape, too. I think that's my gift in this world is to put experience into music. I was really heavy growing up, so it was never feeling like the pretty girl, never being popular. I'm an around-the-way girl. I'm a singer, songwriter. I'm about positivity and spreading a good message and telling the people's story. One of my biggest musical influences is definitely Ella Fitzgerald as a vocalist. One of my dream collaborations is to work with Sade. I would love to work with Andre 3000, Miguel. One of my favorite dishes is this alfredo I make, and I make the sauce from scratch. I love making everything from scratch. Everything in my house was either free or under 40 bucks, and people come to my house and can't believe that I picked up everything on the street or in a thrift shop. It was not cool to be that fun, bubbly kid, so I would just go off on my own and sing and make up songs, and that's how I think I developed into the kind of artist and writer that I am.